This west London pub has a fame disproportionate to its size and location. The small pub is divided between a fire side drinking area with sofas and wooden tables and top class restaurant at the back. In summer, the outside space is consistently filed with affluent locals (it costs a fortune to buy in 'Brackenbury Village') enjoying the laid back atmosphere. But the main reason people get excited about this place is the food. Dishes like Slow Cooked Roast Pork are succulent and tasty. There's no booking so get there early or plan to spend some time in the bar waiting for a table - and be prepared to wait for your drink too; service behind the bar is in keeping with the laid back atmosphere. Anglesea Arms gyms, sporting activities, health & beauty and fitness. 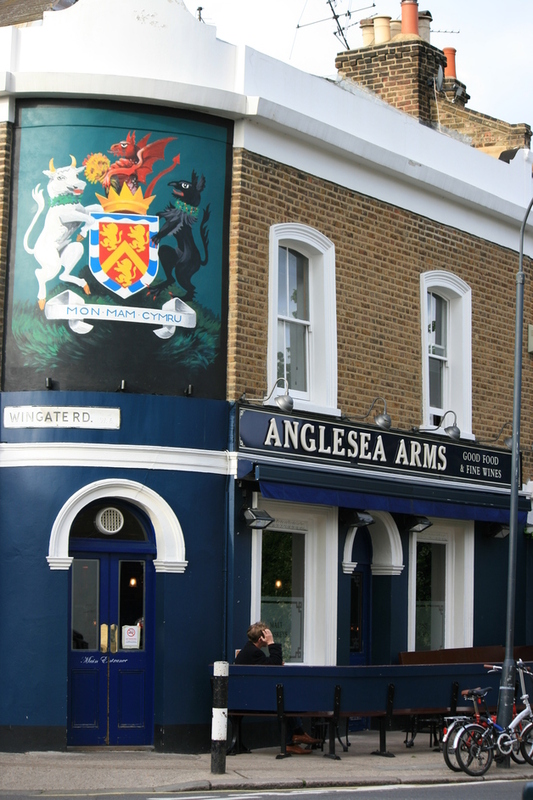 The best pubs near London Anglesea Arms. Anglesea Arms clubs, bars, cabaret nights, casinos and interesting nightlife. Where to have your meeting, conference, exhibition, private dining or training course near Anglesea Arms. From cheap budget hotels to luxury 5 star hotels see our deals for Anglesea Arms hotels, including Dorsett Shepherds Bush from 84% off.